Intracellular delivery is integral to the generation of ex vivo cell based therapies and genome editing approaches. Current delivery mechanisms both viral and non-viral have limitations which have prompted Avectas to develop a technology that can address the delivery of advanced therapies to stem cells and immune cells. The Avectas technology utilizes a membrane disruptive approach to rapidly deliver nucleic acids and proteins to cells, alone or in combination. 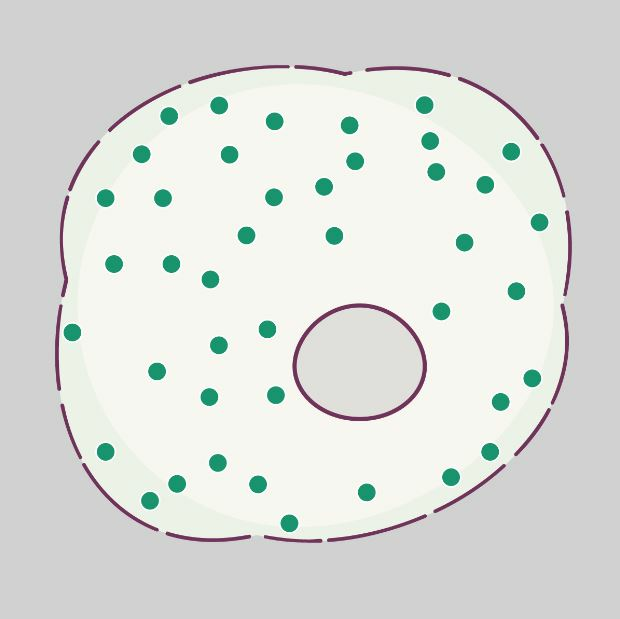 The proprietary delivery solution causes the cellular membrane to permeabilize allowing diffusion of cargo into the cell. The components of the delivery solution are generally regarded as safe (GRAS) to lower regulatory hurdles. The technology is also aligned with scalability and cost effectiveness and Avectas is developing a closed continuous system for GMP manufacturing. Nucleic acid and protein cargos can be instantaneously delivered to cells in adherence or suspension. Target cells include primary immune cells and stem cells. This method causes a gentle transient permeabilization of the cell membrane, allowing diffusion of cargo into the cell. The permeabilization is reversible, the cell membrane rapidly recovers resulting in high cell viability and functionality. A population of suspension or adherent cells can be modified within 4 minutes. The cargo is mixed with the proprietary delivery solution and applied to the cells with precision control. The delivery solution gently permeabilizes the cell membrane allowing rapid diffusion of cargo into the cell. Cell permeabilization is rapidly reversed with a stop solution preserving cell viability and functionality. Preserves Functionality: Unlike industry standards, Avectas technology is gentle to the cells allowing rapid recovery and functionality. 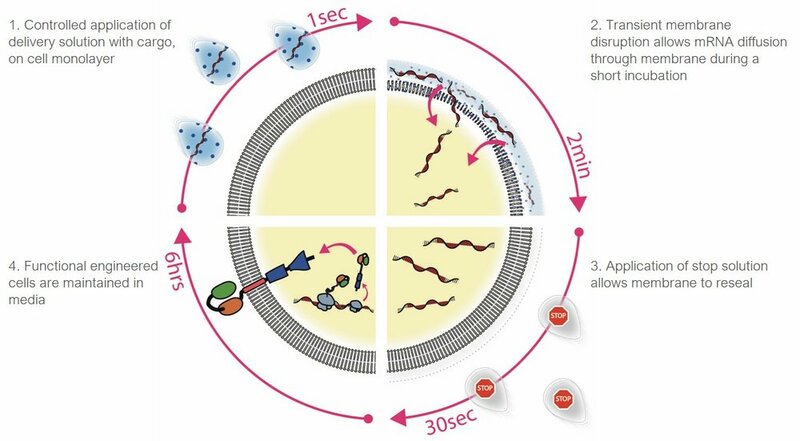 There is no stall time in cell proliferation resulting in a faster cell engineering process. Efficient Delivery: Avectas technology can address the need to perform efficient and safe intracellular delivery of advanced molecules to clinically relevant cells. Intracellular delivery occurs by diffusion through the permeabilized membrane and entry of the molecules is rapid and independent of endocytic pathways. Scalable Technology: Avectas technology is cost effective and can be scaled to engineer the volume of cells required for clinical therapies.